A new line of weldable shaft collars and couplings that are now offered in weldable stainless steel and include hinged collars and flange mounts that can be easily modified to improve design options is being introduced by Stafford Manufacturing Corp. of Wilmington, Massachusetts. Stafford Weldable Shaft Collars & Couplings are available in ANSI 1018 steel and weldable stainless steel to let users add items such as brackets, cams, lever arms, mounts, pins, and rods. 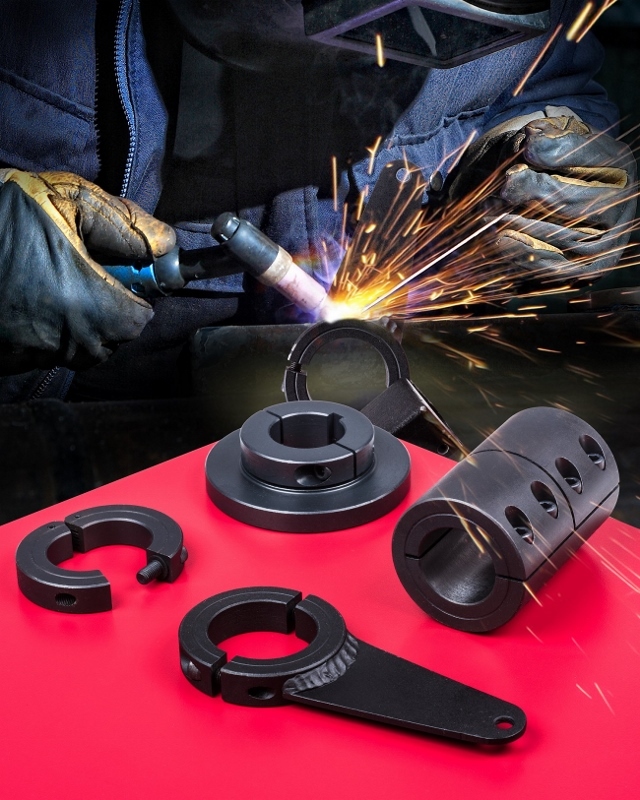 This weldable product line has been expanded to include hinged shaft collars and flange mounts to which users can weld a wide variety of mechanical and structural components. Available in one-, two-piece, and hinged styles, Stafford Weldable Shaft Collars and Flange Mounts come in 1/4” to 6” bore sizes and Weldable Shaft Couplings are offered in 1/4” to 2” bore sizes. Typical applications include special machinery, conveyors, and packaging equipment design as well as maintenance and repairs to facilitate system uptime. Stafford Weldable Shaft Collars & Couplings are priced according to config-uration and special requirements. Price quotes are available upon request.